Most of us who have spent any time in corporate America are familiar with SMART goals. Specific. Measurable. Achievable. Relevant. Time-Based. 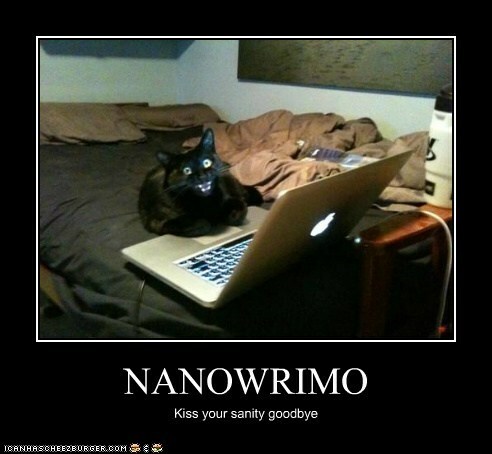 Nanowrimo meets all of these. For those not familiar, Nanowrimo is in the month of November, and writers strive to write fifty-thousand words in thirty days. There are support groups to help get there. Most writers ask spouses to help out with more around the house during the month. I’ve even heard of people pre-making suppers for a month so they can focus on writing. As you can imagine, this is a massive goal. It equates to roughly 1,700 words a day, every day, during a month that includes Thanksgiving. For most of us, this is a HUGE stretch goal. 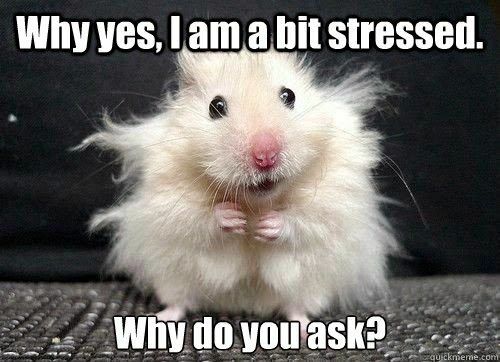 Especially if we aren’t used to doing that many words a day. My personal goal is five-hundred words a day. I’ve found this manageable. I sometimes write more, sometimes less, but it gets books done. While I support every one who attempts NaNoWriMo, my fear is that it discourages more people than it helps because it is so hard to achieve. Even if you don’t write, you get how de-motivating a goal you see as impossible is. Or at least, a goal that becomes impossible a little ways into trying to achieveit. You don’t consider your resources – In the example of NaNoWriMo, you have to consider how many hours a day you actually have to write. If you’re goal is to learn a new language, same thing. How much time do you have? If we assume you sleep seven hours a night, that leaves seventeen hours. Most of us have day jobs, that include a commute. That leaves seven hours. Still, sounds like a lot. Until you remember those seven hours also include exercising, helping the kids with their homework, making dinner, showering, spending time with your spouse, etc. Maybe an hour a day is still realistic, maybe it isn’t. But it’s something to think about. Focused on Short Term – When you set a short term goal, you have to consider the cost of achieving the goal. Let’s say your goal is to rebuild the engine on your classic car in a month. How is your family going to respond to mac & cheese every night (my toddler excluded)? How long does it take to rebuild support from your spouse? The last thing you want is your cheering section at home to become another obstacle you face. Don’t believe me? Imagine if one of your co-workers came to you and said they were taking on a special project, and as such, you’d be expected to stay and work unpaid overtime for the next month. 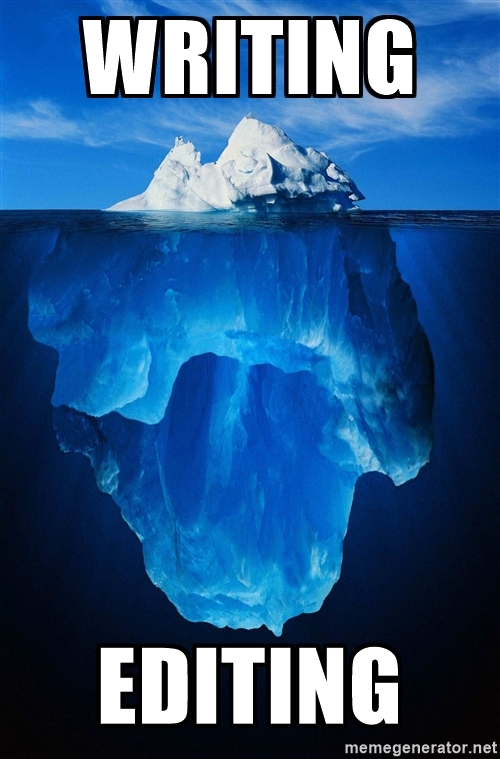 Focus Exclusively on the Goal – If you focus exclusively on a narrow goal, you can miss other areas that are important. Like editing. Plotting. Character development. Spending a little bit of time on the front end can really help with the story and make the rewriting process a little less painful. 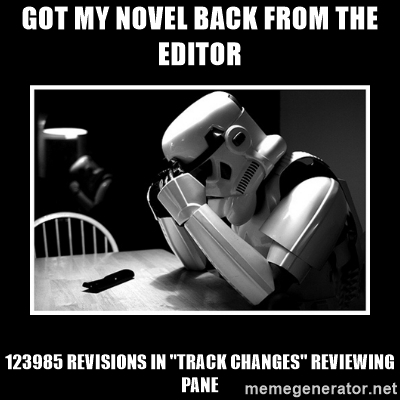 And, if the goal is word count, how do you judge editing? 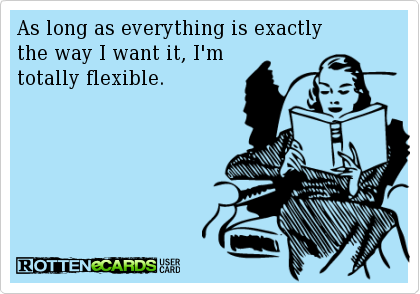 Particularly when editing can involve negative word count? Yet, editing is such a vital process of writing. Goal Impresses Rather than Guides – I’ve seen people like this. “I’m going to do 100 push-ups” is a great goal. But, you don’t go from spending your days playing Mario Kart to doing 100 push-ups. You need a plan with smaller goals. Whatever your ultimate goal, you’ve got some work to do before you get there. Failing can be Excusable – When you set unrealistic goals, it’s easy to excuse not meeting them because, well, they weren’t all that achievable. They were a stretch goal, and you weren’t able to stretch that much. Failing becomes Accepted – Once you can be excused for not reaching the goal, failing becomes acceptable. How many people fail to ever be able to do a 5k run that started the process and are totally fine with it? All of our bosses have set one of these. So, while goal-setting has a lot of positive effects, it has some dark sides that people don’t always consider. It gets back to the “attainable” part of SMART goals. Not attainable only when the planets align, but attainable on most days if we push for it. 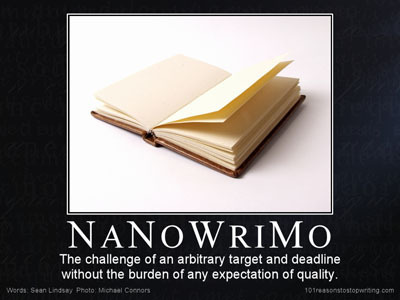 So, perhaps not the Nanowrimo sprint, but maybe a five-hundred words per day marathon. Yes, it’s going to take 3.5 months to get the same 50,000 words, but perhaps that’s a habit you can maintain without your spouse threatening to throw your computer in the front lawn. How about you? 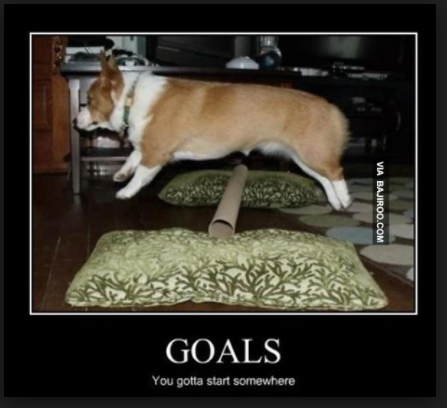 Have you ever found goal-setting to be de-motivating? 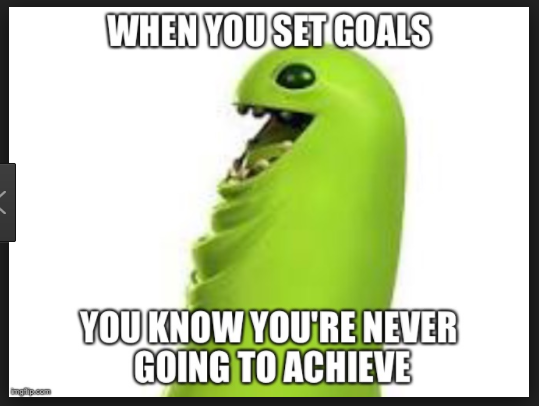 Or maybe you’re just the opposite and goal setting really inspires you. 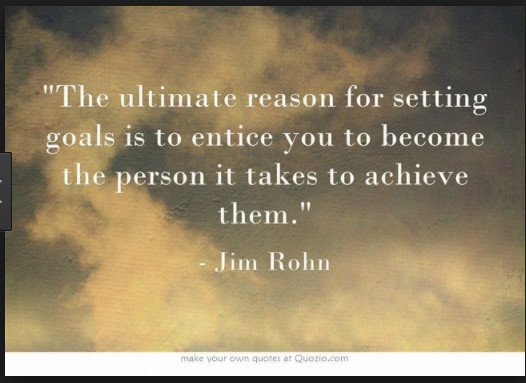 How do you set your goals? How do you measure success?